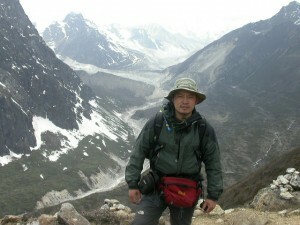 Palden Tshewang (more info) is the founder and primary tour guide of Silver Dragon Adventures. He was raised in Eastern Bhutan and has traveled extensively throughout Bhutan. In addition, Silver Dragon has local partners in many areas of Bhutan which allow tourists an authentic experience into the traditional daily life of the Bhutanese people. His love for the outdoors and knowledge through his years of experience allow Silver Dragon to provide a program of adventure and education to suit your needs. Why travel with SDA? See here. With Silver Dragon Adventures, you will be able to experience Bhutan up-close and personal. You will be able to interact with local villagers in their home. You will see daily life as it has been practiced for centuries. With Silver Dragon Adventures, you will be in the company of knowledgeable guides who can share with you the long and rich cultural and religious history of Bhutan. With Silver Dragon, you will have the opportunity to enjoy the natural beauty of Bhutan at the level you desire, whether you prefer short hikes, high mountain adventures or mountain biking, Silver Dragon can tailor a trip to meet your needs.